These are stories, retirement memories, written by retirees, of "life back then"... I love them! These pages just might help YOU write your own story, here is help on memoir writing and keeping your memories alive. Retirees submit their memories on the bottom of this page. I hope you have one to share with other readers! Apron Memories... Sandy loves them still! Read about her aprons here. 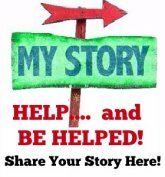 I'd love to hear from you -- send me your story! Do you have an interesting story that you'd like to share? I hope so! If not, read a few and I'm sure some of your memories will pop back and you'll catch them here in a jiffy! Just type!... pick a subject and just tell us what you remember. Your memory will appear on a web page exactly the way you enter it here (unless I fix a typo or something small). This should be fun-- tell us what you did back then, or how today differs from years ago.. and after the web page is up, visitors can comment on your memory! JFKennedy Assasinated 50 years ago! Remember records and record players? Seizures, Seizures And More Seizures. Seniors and "The Green Thing"
Retiree Asks: Do You Remember? I remember when... Well..I forgot it now..
Read more Retirement Memories here!